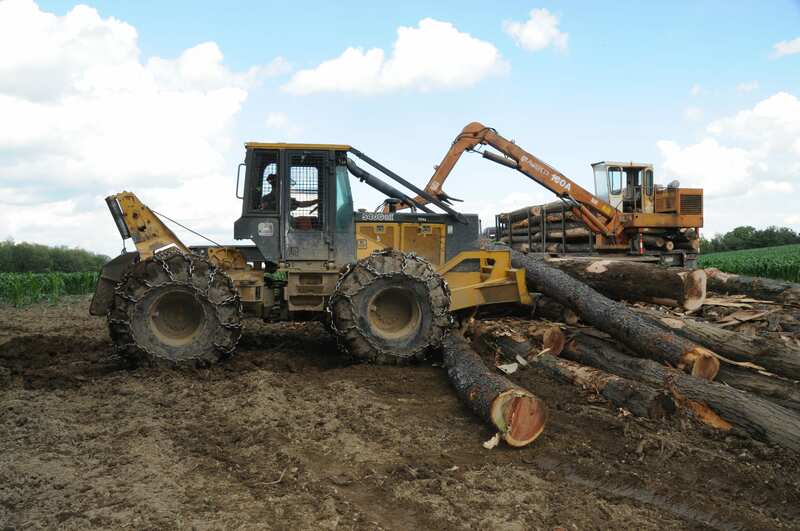 Future Forest Consulting marks forest products according to accepted silvicultural guidelines and landowners objectives and then solicits bids from approximately 75 to 100 logging companies throughout the region. This process ensures that the landowner receives the best market price for their timber. This service includes marking a proportional amount of low-grade trees, which should be felled at the time of harvest to achieve management goals. The proportion of low-grade marked is dependent upon the timber quality, size of sale, and market region. 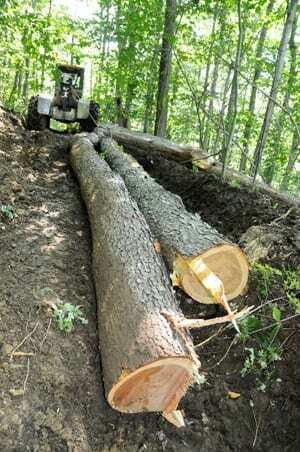 Future Forest Consulting on average services 75 to 100 timber harvests on an annual basis. 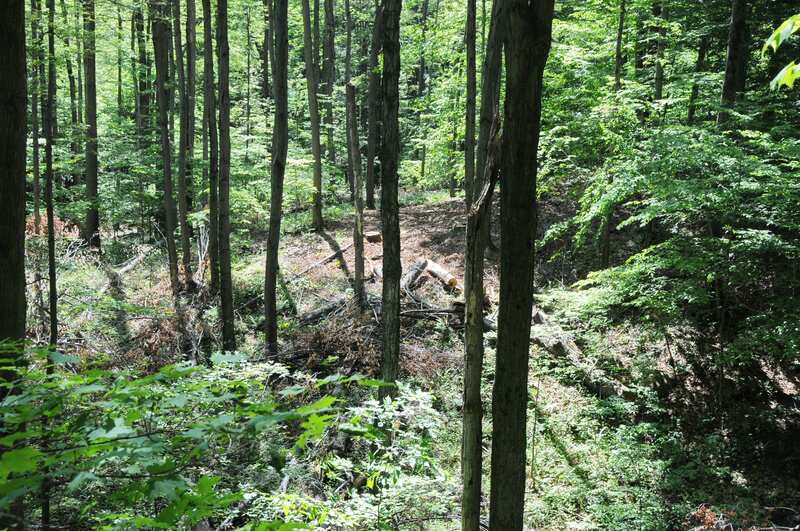 After the bids are received, a timber sale contract is then developed between the buyer and the landowner. All money is received before the logging firm begins work on the property. In addition, insurance documentation (workmen’s comp, general liability) is required to protect the landowner from any liabilities. 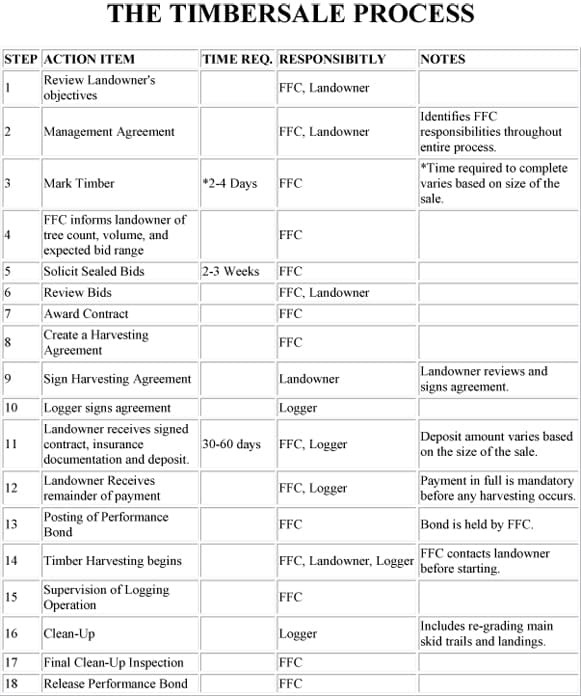 A performance bond is required prior to harvesting from the logger, to ensure contract requirements are adhered to. The contract includes re-grading roads, skid trials, and landing areas, including the installation of appropriate erosion control measures. Additional contract specifications are discussed between the landowner and FFC foresters. FFC supervises the timber sale to ensure “best management practices” outlined by the DEC are implemented. 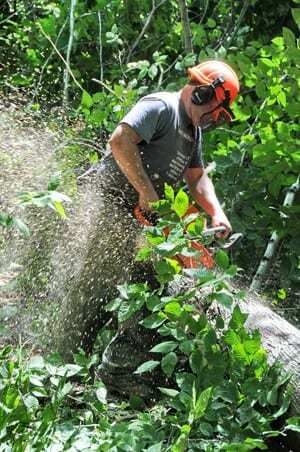 Our forester’s layout skid trails, landings, and supervise harvesting to assure a quality job is performed. In most cases dozer work is required as part of the clean up to ensure skid trails and landings are re-graded with appropriate erosion control measures such as water bars, and broad based dips. The best way to sustain and improve forest health is to harvest approximately 1/3 of the lower quality trees in the first harvest. This is called an Improvement cut, which is a type of commercial thinning. Individual tree selection and their corresponding treatments should be based on tree biology and the capacity of trees to overcome conditions, which ultimately lead to mortality. 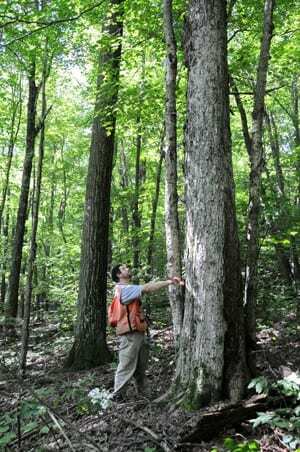 Foresters examine forest energy, competition, tree vigor, and vitality in determining which trees have the greatest potential for future management. Trees of poor quality; form, commercial value, and that are infected with disease, are marked in anticipation that they will not survive until the next harvest in ten to fifteen years. Woodland owners who don’t work with a forester, risk lower income on the existing timbersale and reduced return from their future growing stock. Although most loggers are competent professionals who do a careful job extracting timber, they may not maximize your return on your timber. Working with a forester will avoid the potential of damaging the productivity of the forest as well as getting the most out of your timber sale. Silviculture is the art and science of tending a forest. The forest is managed and manipulated predominantly through the harvesting of trees marked by a forester. 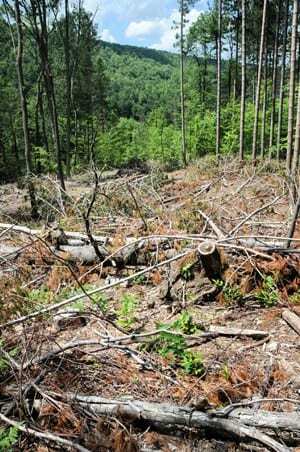 However, silviculture not only involves the tending of a forest in a sustainable manner, it also times in such genetically poor condition that their seed is not viable. Forests that have not been harvested for a long time are especially in need of management. Forests can only support so many trees, called a carrying capacity. Once this is reached, no more growth can occur unless there is mortality. When growth equals mortality, it equates to lost timber value. 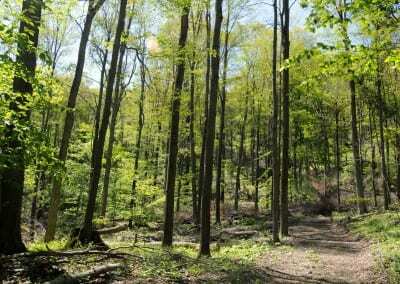 Many of today’s forests contain a high proportion of Beech, Ironwood, and Striped Maple due to heavy cutting in the past. These species are not commercially desirable, so harvesters have repeatedly left these species each time they enter a forest and eventually they can comprise the entire stand. In addition, these species can regenerate with little or no light. Therefore in mature forests, these species tend to take over in the understory because they are the only trees regenerating.involves tending of non-commodity values. Today, foresters must be cognoscente of landowners’ multiple management objectives. How often do landowners manage just for timber? For example, a forester must consider sustained deer or grouse habitat, maintenance of aesthetic views, regular timber income, wildlife, and useable access for recreation. 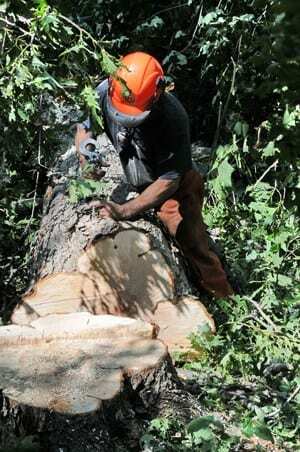 “Highgrading” or “diameter limit” cutting are harvesting techniques that remove only the most valuable trees or over a certain minimum size, and disregard the impact on the future of the forest stand. 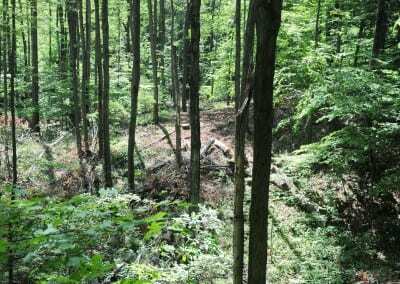 Conversely, careful forest management under the guidance of a competent professional can produce not only a profit, but will result in forestlands that have been improved through the application of appropriate silvicultural practices and harvesting. 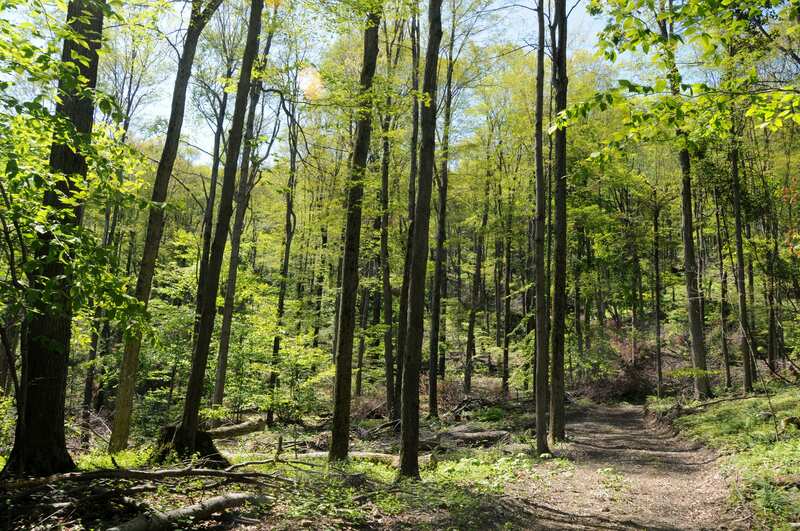 A healthy, well-managed woodlot results in the best interest rate on future growing stock. As mentioned previously, marking 1/3 of the lower quality trees and performing some Timber Stand Improvement (TSI), can result in a sustained cutting rotation. Foresters should remove the worst 1/3 each successive entry. As a result, each successive harvest will yield more income due to the better quality residual timber remaining and inflation in timber value of high quality wood. 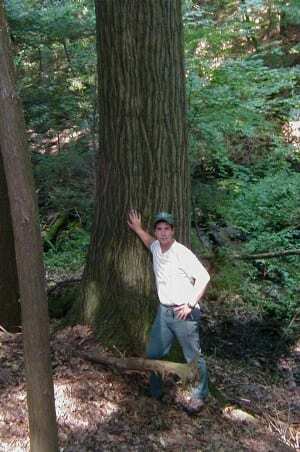 To give you an idea, stumpage or the value of standing timber, for Eastern Hemlock and Beech on average is $80 per 1,000 board feet and for Red Oak, the average stumpage value is $600 per 1,000 board feet, and Black Cherry averages $1,000. 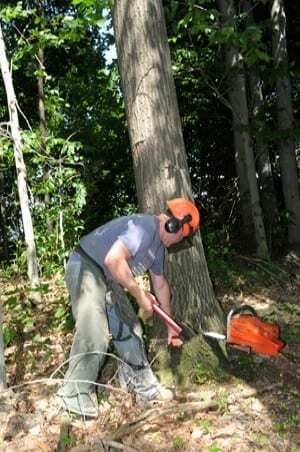 In many cases, once a logger comes in and takes all the large Oaks or Cherries, you are left with Hemlock or Beech in the understory, which is released to become your next stand. This stand in the future will not produce the dollars that a properly managed stand will yield. Good forest management makes sense now more than ever with the recent explosion in stumpage prices. FFC marks trees utilizing the “Crop Tree Release” philosophy. Crop Tree Release refers to harvesting trees competing with the selected crop trees resources. In many cases this consists of harvesting one or two trees that are adjacent to the crop tree. This methodology increases the proportion of high quality trees in the residual forest, which in turn increases forest health.